So the French Nobel writer described this place known to the world as the City of Music. A must for those who comes to visit the South and doesn’t want to miss the beauty of Italy. You will be in a privileged position where it almost seems possible to simultaneously touch the sky and the sea with a finger, standing with your feet anchored to the earth. 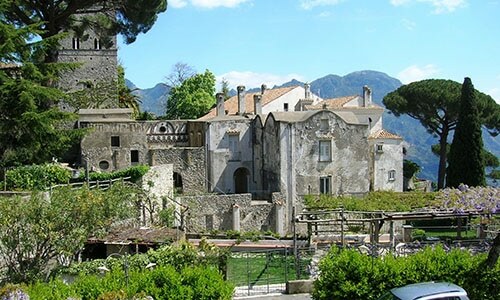 Ravello was founded because of the impatience of those Amalfitans that at the time of the Amalfi Republic took position against the policy of the doge. 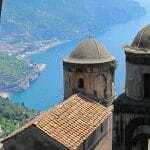 On Mount Torello they built their city, today a succession of ancient palaces, monumental churches and fabulous villas. 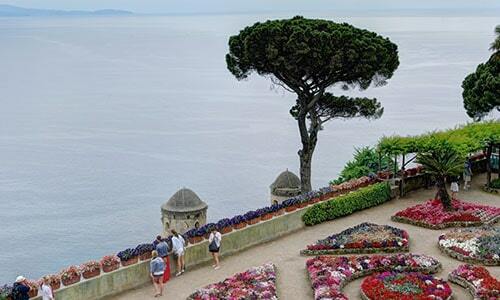 Consecrated to the musician Richard Wagner, who here in 1880 found inspiration for the setting of his “Parsifal”, Ravello was the muse of many writers and one of the best destination for many artists. 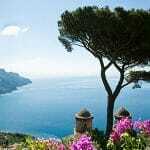 First of all the writer and Italian poet Giovanni Boccaccio, who in the fourteenth century spoke of the Amalfi Coast as the “…most beautiful part of Italy” in one of the most beautiful stories of the Decameron dedicated to the noble Landolfo Rufolo. The Parisian André Gide set in Amalfi the 1902 novel “The Immoraliste”, the English Edward M. Foster in 1928 made Amalfi the background of his story “The Story of a Panic”. 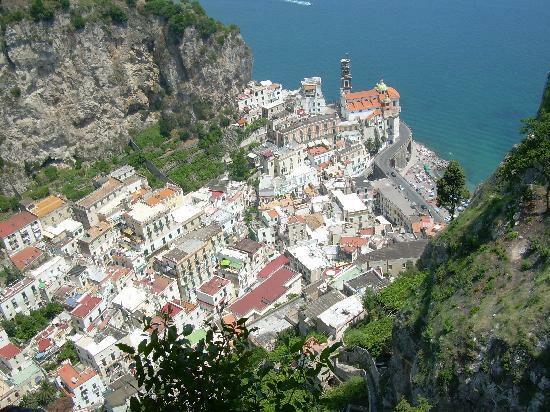 Amalfi hosted the Spanish artist and ceramist Mirò, the Dutch artist Maurits Cornelis Escher, the writer and art critic Ruskin, the writer Virginia Woolf. The destination of people belonging to the international jet set. 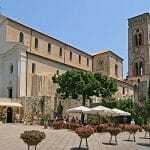 Dedicated to Santa Maria Assunta, it was built in the late eleventh century. The bronze door has 80 posted tiles which depicts in bas-relief the animal and plant world, the human universe and the hierarchy of the Church. 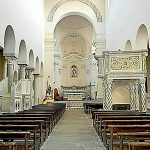 The chapel dedicated to the main Patron Saint, San Pantaleone, was built in the seventeenth century to house the saint’s blood who would perform the miracle of melting each July 27, for the anniversary of the martyrdom during the persecution of Diocletian. 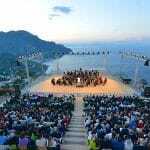 It dates back to the 1200 AD, built by the Rufolo family then passed from family to family and belongs, today, to the Entity for Tourism in Salerno which annually organizes the Ravello Festival, inspired by Wagner. The atmosphere of the place is full of influences of the Arab culture, from the main building to the main tower to the charming Moorish cloister. 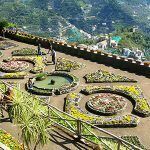 The garden is the place that has always enjoyed a great success. Known as the Garden of the Soul, a simple look will help to understand why. The same reason that inspired the verses of Boccaccio and led Wagner to write on the visitors’ book “The Enchanted Garden of Klingstor is found” – the garden which is setting for the “Parsifal”. It passed from family to family too. 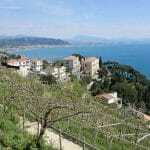 Its luck began when in 1904 the English lord Ernest William Beckett arrived in Ravello. He was damaged by the unreal disease known as “sleen” and ascribable, if desired, as anxiety or depression. 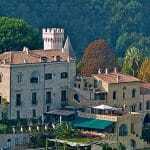 It was here that Berket found relief and found his joy of living and decided to buy Villa Cimbrone to stay. He entrusted the work to the tailor Nicola Mansi , who turned it into a mixture of styles and eras, cultural and ethnic elements, artifacts and memories. 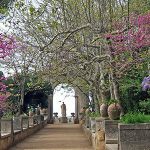 Don’t miss the cloister and the wonderful garden, studded with statues, temples, fountains and caves. 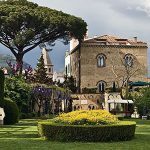 It is a journey of two and a half hours that will help you to discover the different influences in the architecture of Ravello. 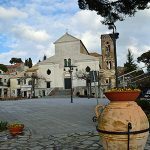 It runs from Santa Maria to Gradillo, with its church in the Moorish style, the ruins of the fortified castle of the thirteenth century to the heart of the city: the Bishop’s Square, on which the Cathedral exposes and the entrance tower at Villa Rufolo. Behind it you can observe the church of Santissima Annunziata, whose face is decorated with marqueties in grey stone, the church of San Pietro alla Costa, the oldest of the city. 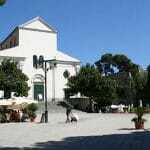 You will arrive, finally, to the medieval village of Torello, the first settlement of Ravello with the St. Michael the Archangel Church. Down the stairs it is possible to appreciate a walk of about an hour for a feast for the eyes. 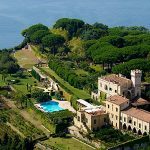 You can visit ancient churches, enjoy the view of the coast and the sea or rest if the weather is nice, in the shade of lemon trees, vines and fig trees, immerse in the scents of the Mediterranean between myrtle, juniper and rosemary. 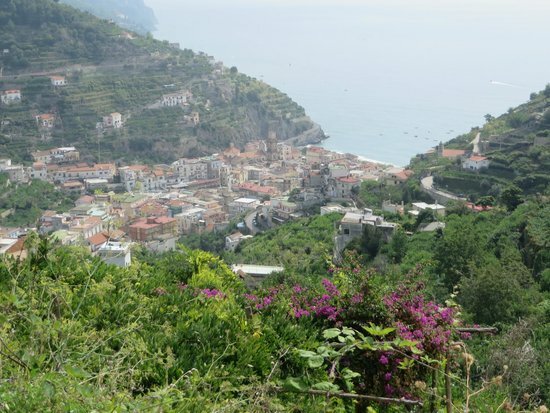 For wine connoisseurs, Ravello offers a combination of soil and climate factors that allow the cultivation of fine grapes to produce D.O.C wines. Here in 1962 born the Cantine Sammarco, now specialized in the production of high quality wines, based on the traditional grape varieties such as Falanghina, Biancolella, Aglianico, Piè di Rosso, Ginestra. 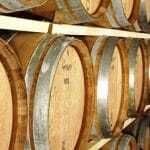 We will be happy to accompany you to take part in a guided tour of the cellars and to honour the god Bacchus in some tastings.